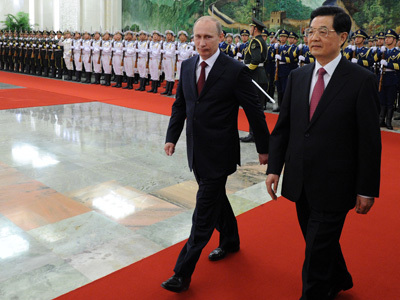 President Vladimir Putin and his Chinese counterpart Hu Jintao broke ground on a new bilateral relationship. 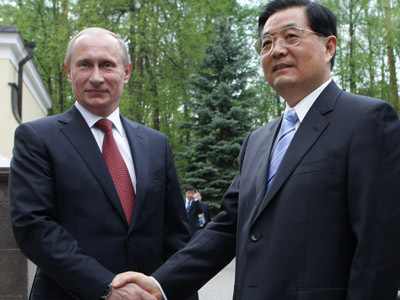 Given the regional challenges, Russia and China have more in common than ever before. Putin kicked off his visit to China amid an optimistic atmosphere in which the Russian and Chinese leaders expressed their enthusiasm for the present and future state of bilateral ties. 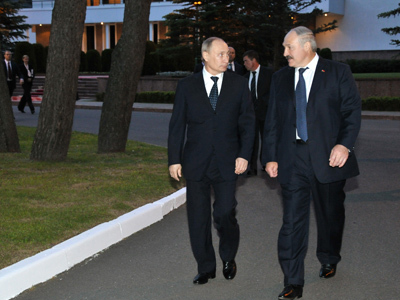 The Russian leader confirmed that cooperation had reached a new level and quality. "Thanks to joint efforts we raised the level of Russian-Chinese cooperation to unprecedented height and quality," the Russian president said. 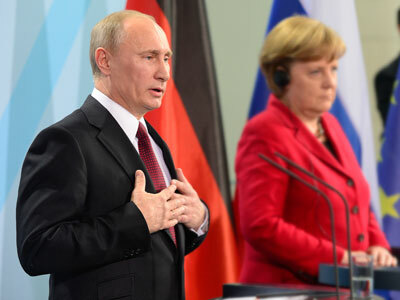 Putin recalled that one year ago, both sides spoke about the need to bring their strategic cooperation to a new level and make it comprehensive. "We plan to continue our joint work in this direction," the Russian president said. "The fundamental interests [of Moscow and Beijing] coincide broadly both in international and economic affairs." "I am firmly convinced that your visit will contribute to further development of all-embracing strategic partnership and cooperation," the Chinese leader stressed. On Wednesday and Thursday, Putin and Hu will be among six regional leaders attending the annual summit of the Shanghai Cooperation Organisation – a security organization founded in 2001 in Shanghai by China, Kazakhstan, Kyrgyzstan, Russia, Tajikistan, and Uzbekistan. Moscow and Beijing, up-and-coming economic powerhouses with increasing military weight, are beginning to exert much more influence in Central Asia, a highly strategic region that skirts the crisis-prone Middle East. Thanks to the hawkish US military circling the region, the Russian bear and the Chinese dragon have found common ground upon which to build the foundation of a rock-solid relationship. In an article published in the Chinese daily Renmin Ribao, the Russian president outlines the importance of a powerful regional presence. "The proponents of the ideology of terrorism, separatism and extremism are perfecting their subversive methods, recruiting new militants and broadening sources of financing," Putin writes. The SCO members are also concerned about the situation in Afghanistan, which has witnessed more than 10 years of fighting between coalition forces and the Taliban. Putin says Afghanistan is expected to receive observer status in the SCO this week. "The organization is playing a major role in the effort to help the people of Afghanistan to revive their long-suffering homeland,” he said. At the SCO summit this week Putin will also meet the Iranian President Mahmoud Ahmadinejad. He is expected to discuss with SCO leaders the situation in Syria, where the United States is threatening military action in light of the political opposition’s protracted efforts to force out President Bashar al-Assad. Moscow and Beijing are calling on their colleagues in the UN Security Council to abide by the conditions set down by the so-called Annan plan, which calls for an immediate ceasefire on both sides. As ongoing violence threatens to erupt into civil war, the Syrian government blames “foreign terrorists” for provoking the situation.